This timer controls most types of lighting and features 4-button preset countdown delays in 60-, 40-, 20- and 10-minute intervals with visual indication, turning loads off when no longer needed. Rated 4 out of 5 by dh987 from Does it's job, and looks good doing it. I bought these for my bathroom fans, and my bathroom heat lamps. They do a great job and they are set apart from a lot of the competition as is not a large selection for timers for 60 minutes. Very easy to use and setup. My only complant is that the wiring that is provided to tie into the existing wires seems to be of lower quality, but the fact that they provide it as well as stripping the wires for you is very convientent. Rated 1 out of 5 by Tataia from Great designing Needs a neutral to work. Neutral wires are usually not found in switch boxes , just in outlets. Great thinking when designing this product! Rated 5 out of 5 by RetiredinOK from Great features We installed this timer in our bathroom to the exhaust fan. Love the time feature on this, we go into the bathroom turn the exhaust fan on and we don’t have to worry about it running continuously. We use to forget and leave it on for hours. This solved are problem. Rated 5 out of 5 by staceysutherlin from Easy to install I am not a DIY-er but this 4-Button Digital Timer is extremely easy to install and use. I had it put in and working perfectly before my husband got home from work. It was exactly what I wanted. I received free product for my review. Can this be used on a 20 amp circuit? 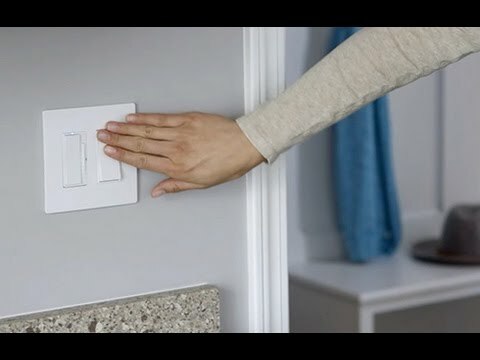 Can I use this switch if I only have 3 wires, &nbsp;a hot, a neutral and a ground - no load wire to my fan/light?&nbsp; If not do you have a timer switch that can be used? Hello, The RT2W has a maximum load wattage of 600W. Hope this helps, Have a great day. When is Graphite color going to be available? Does the timer start automatically when the paddle switch is used or must someone actively remember to use the timer mode? Good Afternoon, The timer starts automatically when the switch is turned on. You don't have to hit it every time unless you want to change the time duration. Hope this helps! where was this purchased ? I'm looking for nickel finish but appears that its discontinued. any info would be greatly appreciated. Can I use this timer to controller a bathroom heater? Thank you for your question regarding Legrand Radiant timer(Model # RT2W). The RT2W timer has a 1/6 HP rating to control any motor load that does not exceed that rating. 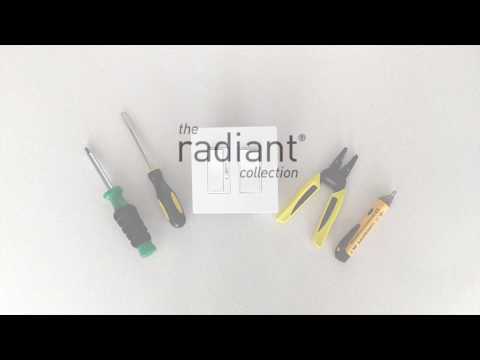 Thank you for your inquiry regarding our radiant RT2 countdown timer. This product does not have an override feature and will always turn off after 10/20/40/60 minutes. If you turn the device on and do not select a time, it goes by the last time set. Hope this helps!